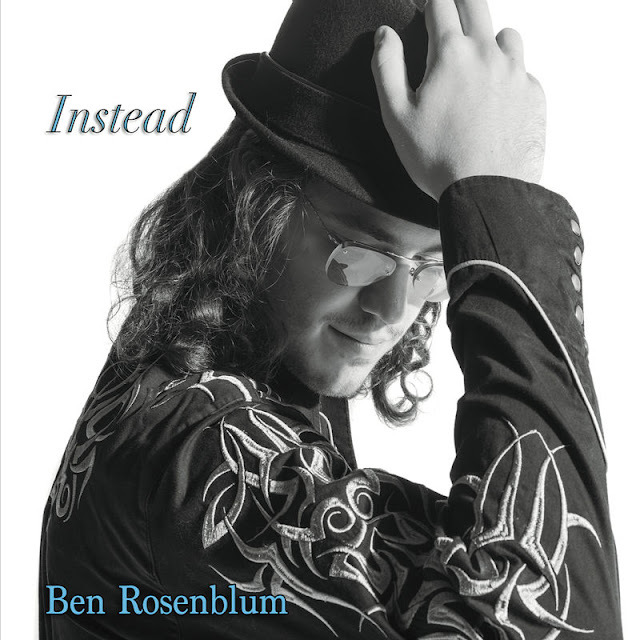 One Trick Dog Records is pleased to announce the release of Instead, the debut album from New York pianist and composer, Ben Rosenblum. 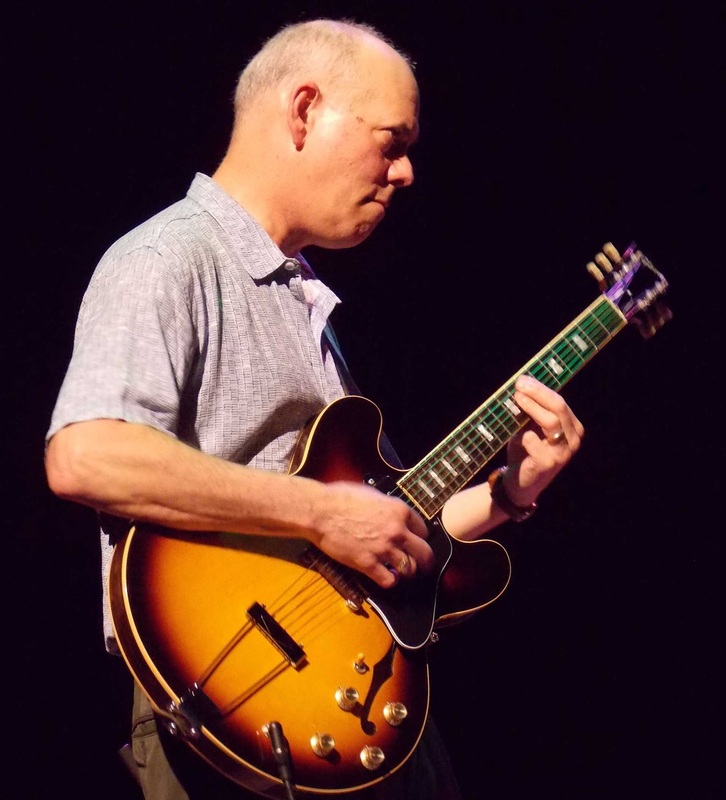 The album features six original compositions with legendary drummer Billy Hart (renowned for his work with Herbie Hancock, Miles Davis and McCoy Tyner) and Grammy-winning bassist Curtis Lundy (arrangement for Kanye West's Jesus Walks). These tracks combine Ben's foundation in traditional hard bop with his modern melodic sensibility, and reflect his extraordinary versatility. 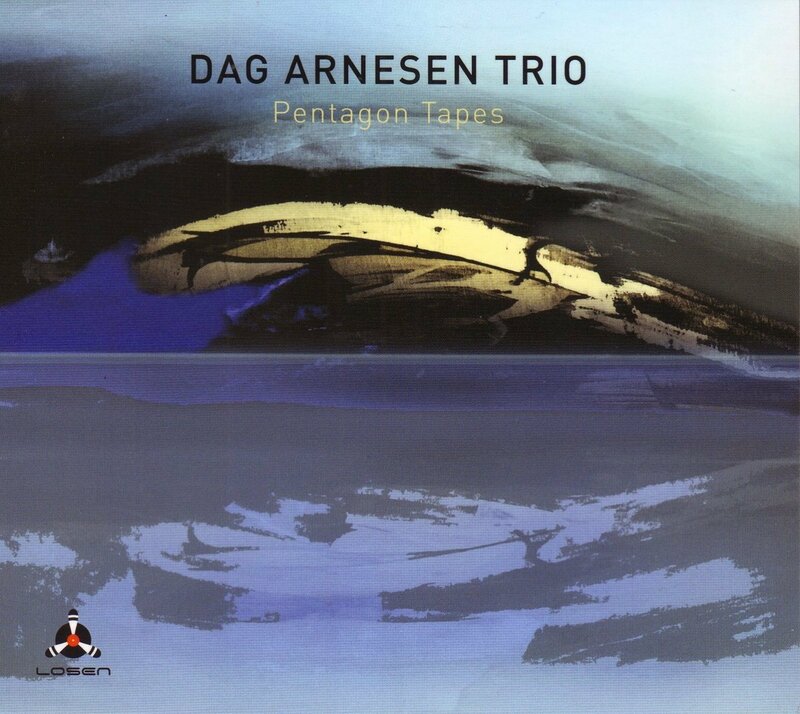 Instead opens with Because It's Raining, a dynamic piece that floats its melancholy melody line over Billy Hart's atmospheric drumming. It then segues to Clarisse and Walter, a more straight ahead tune that hearkens back to the arrangements of Art Blakey or Hank Mobley. The album develops with: And Then It's Gone, which improvises jazz harmonies over a bossa nova; the up-tempo Blur, which reflects back on the intensity of 1980s post-bop; Far Back, a waltz reminiscent of Bill Evans; and Azucar, an energetic Afro-Cuban track. The original tracks are complimented by five standards, including an iconic bowed version of Duke Ellington's Single Petal of a Rose, featuring Lundy's soulful bass. 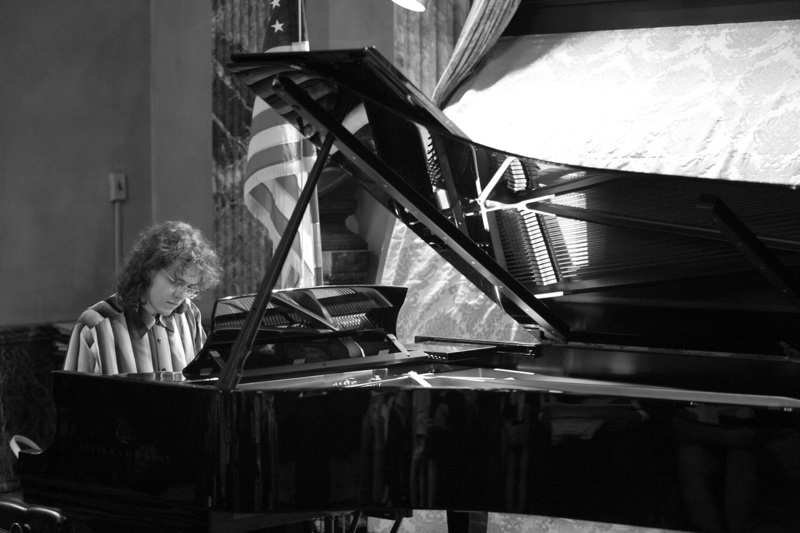 Ben is a jazz pianist, composer and arranger based in New York City, and a recent graduate of the joint program of Columbia University and Juilliard School of Music. 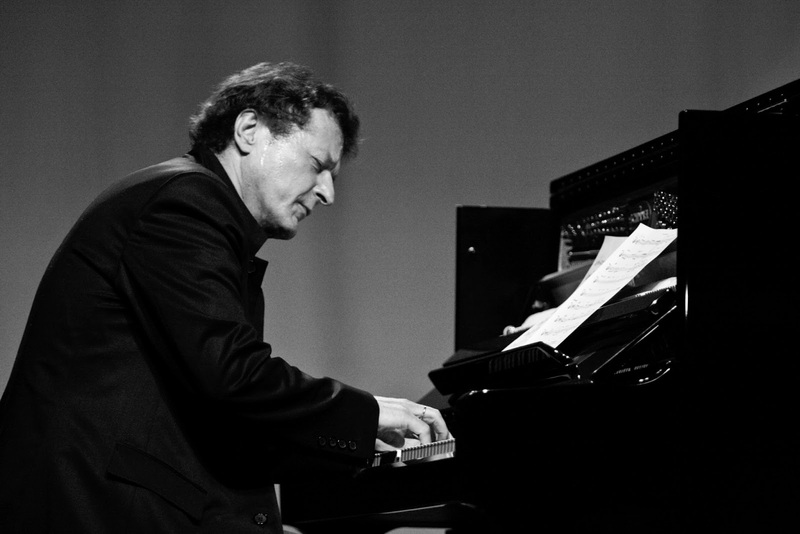 His music has earned numerous awards, including the ASCAP Young Jazz Composers Award and several Downbeat Student Music Awards (for both best original composition and best original arrangement). 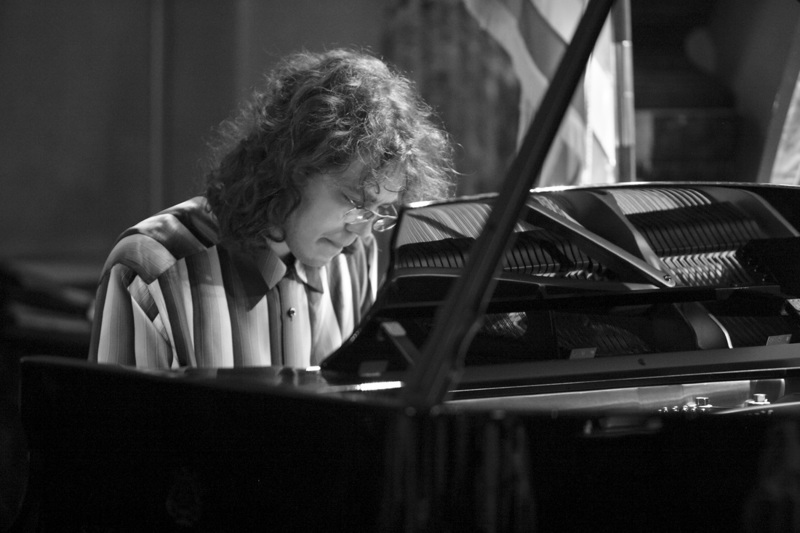 He has played with the Bachiana Brasileira Orchestra at Lincoln Center (with Joao Carlos Martins and Dave Brubeck), in Delhi, India, at the Masten Jazz Festival, Richmond Jazz Festival, Mid-Atlantic Jazz Festival, Lincoln Center Out of Doors Festival, the DUMBO Arts Festival, Musikfest and Music Mountain Festival, as well as Carnegie Hall, Dizzy's Club Coca-Cola, the Allen Room, Webster Hall, Symphony Space and The Blue Note. Ben has composed for Ryland Angel, has arranged for Katini Yamaoka, and has worked extensively with such jazz luminaries as Curtis Lundy, Neal Smith, Winard Harper, Wayne Escoffery and Deborah Davis. He has also shared the stage with Houston Person, Jerry Dodgion, Warren Wolf, Dave Stryker, Clarence Penn, Craig Handy, Bob Nieske, Stacy Dillard, Chris Washburne, Eliot Zigmund, Ameen Saleem, Yasushi Nakamura, Josh Evans, Patience Higgins, James Cammack, Steve Nelson, Essiet Essiet, TS Monk, Kenny Davis, Rogerio Boccato, and Willie Williams, and he has performed alongside Wycliffe Gordon, Brian Lynch and Phil Woods as a member of the prestigious New York Youth Symphony Jazz Band. 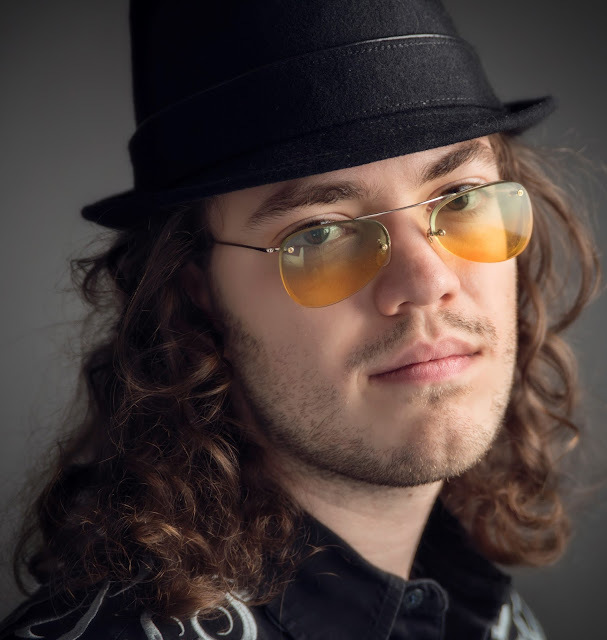 Recently, he was a finalist at the 2015 American Jazz Piano Competition in Melbourne, Florida, and 2016 Jacksonville Jazz Piano Competition in Jacksonville. 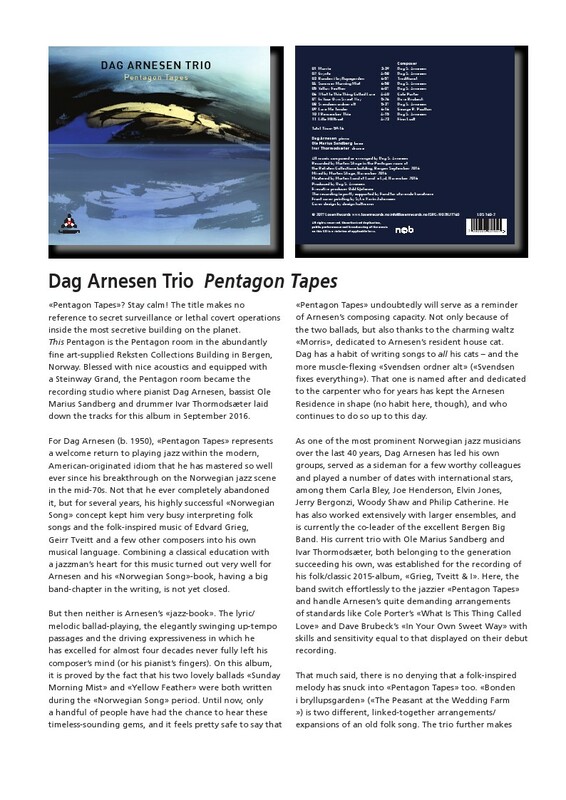 One Trick Dog is a small independent label specializing in jazz, fusion and blues. 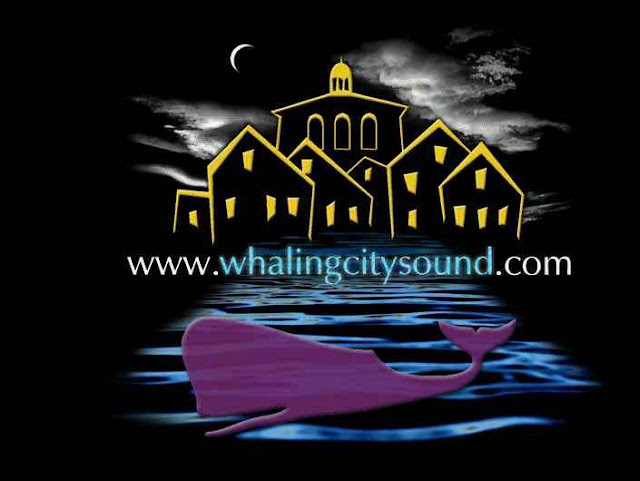 The members are a collective of recording artists, sound designers, engineers, arrangers and composers. The label is affiliated with Avidon Audio Labs, which has tracked, mixed and mastered numerous contemporary jazz, classical and blues albums. Dev Avidon, the senior engineer at AVAL, has also produced a number of the artists on OneTrickDog*. Recent albums include Tom Larsen's Loving/Losing, Wayne Tucker's When I Was a Child, and Peruvian drummer Juan Carlos Polo's Insomnio. In 2017, OneTrickDog* is slated to release five albums, including SaRon Crenshaw's first studio blues album and Wayne Tucker's second jazz album. 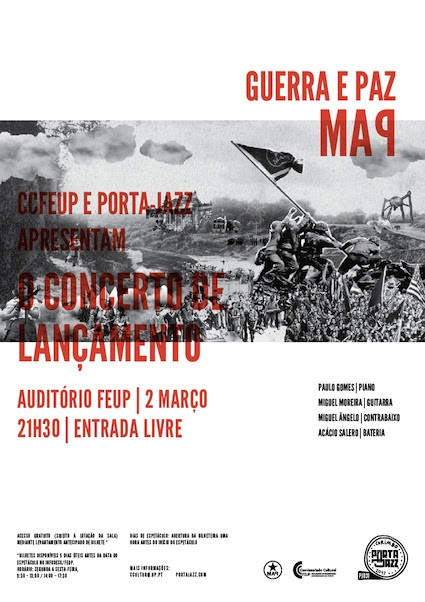 Quinta, 2 março - lançamento novo CD Carimbo Porta-Jazz - MAP "Guerra e Paz"
"O novo disco de Paulo Gomes estende firmemente as suas asas numa arcada de estéticas opostas. De um lado surge meio corpo de uma picassiana pomba da paz, com traços essenciais e limpos. Acariciam momentos cristalinos onde o quarteto usa o espaço com amplitude serena. 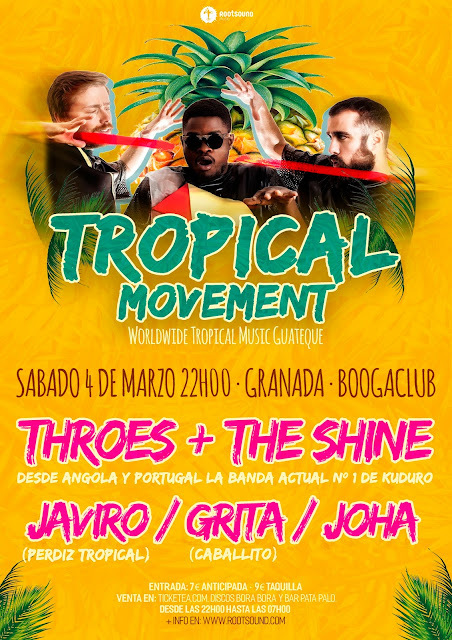 A delicadeza chega a ser um quinto membro da banda, para a interação. Do outro lado temos meio avião de combate, pronto a um ataque devastador. Este caos programado, ruidoso e violento em geral, deixa por vezes tensos silêncios; os silêncios com a memória da destruição. Guerra e Paz consegue fazer voar até às alturas emocionais mais elevadas um sugestivo híbrido de polos contrários." 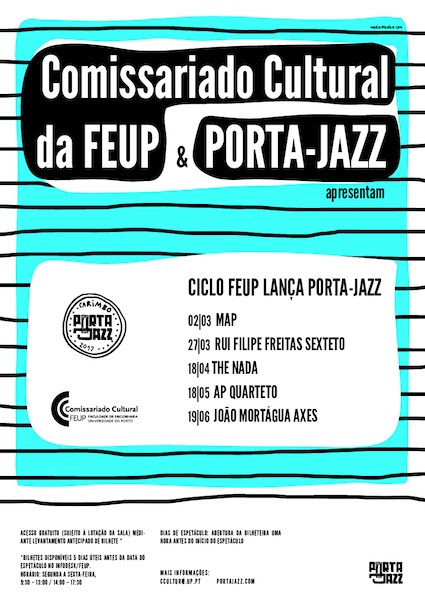 Este é o terceiro disco da formação liderada pelo consagrado pianista portuense, o 31º com Carimbo Porta-Jazz, composto por temas originais de todos os músicos do quarteto. 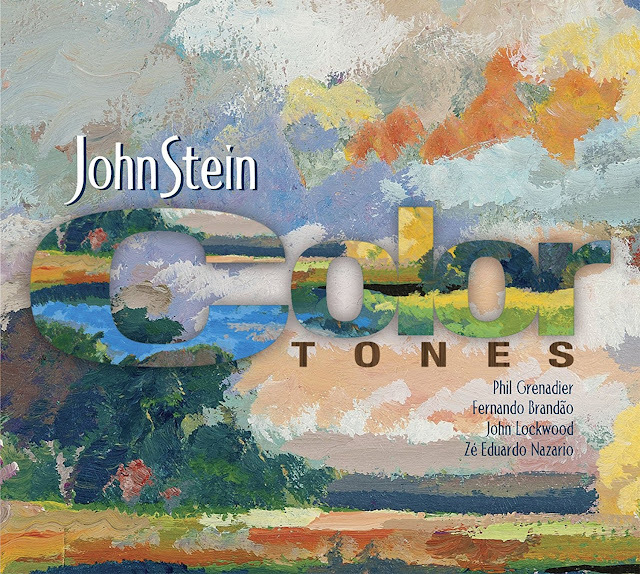 Acclaimed guitarist John Stein expands his already impressive sonic palette on this new recording, Color Tones. The album, created with his ever-intriguing core rhythm section—masterful drummer Zé Eduardo Nazario and renowned bassist John Lockwood—also adds the voices of two mature and unique soloists, Fernando Brandão on flutes and Phil Grenadier on trumpets and mutes. Songs like the concise “Neck Road” provide an example of how this collective functions, featuring all five instrumentalists intertwining in spontaneous interplay: the musical conversation is respectful, energetic, and bristling. All of Stein’s accompanists here expertly carve out their territory. Stein is a generous bandleader. Every musician is featured extensively, and they complement each other tastily, adding their personal expression to the overall fabric. Stein’s compositions provide the necessary structure without inhibiting the musicians’ ability to add their individual voices to the group effort, allowing all parties to color in the details of those structures artfully. 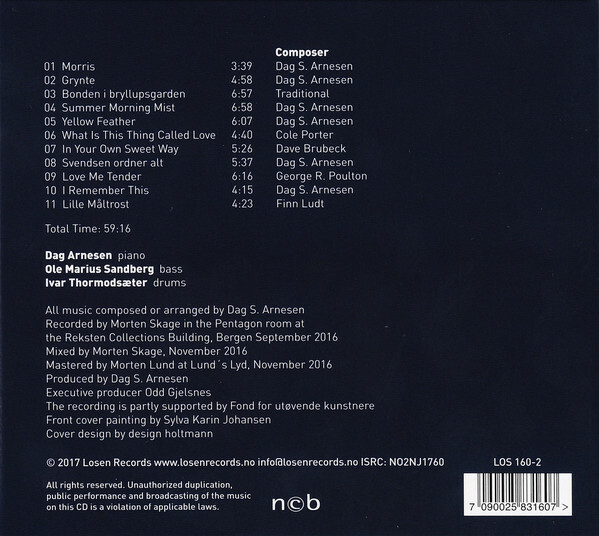 In addition to the arranging ideas contributed by the composer and the players, three of the songs are arranged by Adi Yeshaya, which adds immeasurably to the sonic variety of this recording. Though the acoustic format feels traditional on the surface, there are surprises hiding underneath. This is music of depth and subtlety. In fact, Color Tones is a true delight and a Triple Threat: excellent compositions, sublime arrangements, and enthralling musicianship. Isn’t that all we hope to receive when we listen to a jazz recording? There is a balance that must be struck when one is an expert at something. There is the pressure to share your gifts at the whim of others, which requires the ability to bend to their demands. Then there is the need to express one’s own substance with the talent that has been honed. 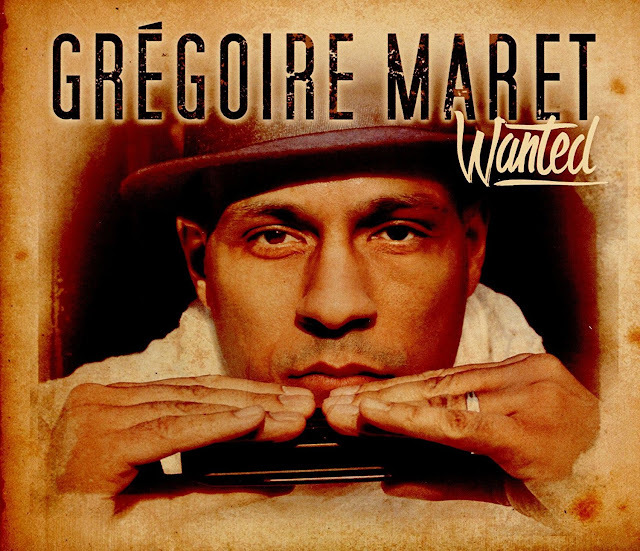 On his new recording and his second as a leader, Wanted, the exceptional chromatic harmonica player Grégoire Maret once again finds himself moving away from his complementary duties as a sideman, and focusing on his role as a leader with his own musical vision. Naturally, Maret finds collaborating an important part of developing as an artist, but he is especially aware of the pressures imposed by the needs of others, and the necessity of removing these outside influences in order to get to one’s core identity. 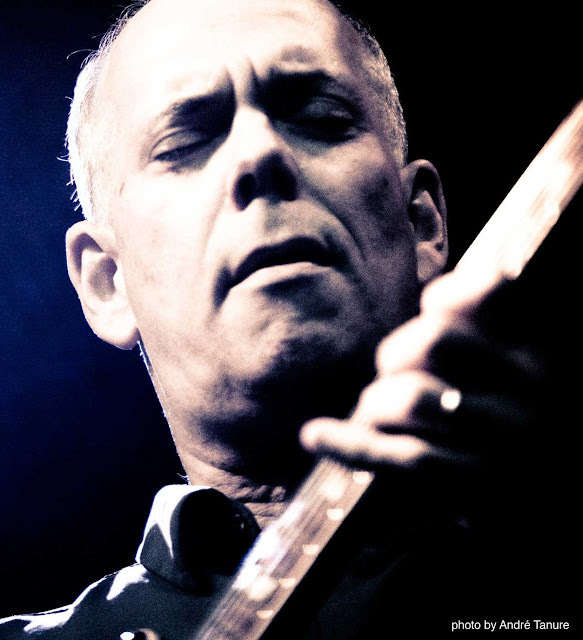 Over his career, Maret has found himself alongside many musical masters, including Herbie Hancock, Pat Metheny, Cassandra Wilson and Steve Coleman, adapting to and absorbing many different styles, as many in his open-minded generation do. The challenges were exciting and educational. Maret heard many kinds of music in his native Switzerland. His parents introduced him to soul, jazz and R&B. It was the music of masters Miles Davis, Herbie Hancock, Stevie Wonder, Wayne Shorter, and Louis Armstrong that immediately struck home and inspired Maret. It was their example that shined brightest as he approached the creation of his own recording, as he looked to make a recording that he would have connected to when he was younger. Going into the studio, Maret knew that he wanted to shape his music using all the tools at his disposal. He assembled a tight, core quartet of pianist Gerald Clayton, bassist James Genus and drummer Terri Lyne Carrington. Maret wanted to treat the initial sessions like Miles Davis did the Kind of Blue sessions, namely to embrace the moment at hand with great musicians. Maret was able to assemble a who’s who of the jazz world to appear as special guests on Wanted. First off, he approached the fantastic drummer Terri Lyne Carrington to play as a part of his core group band, and also to co-produce, with Maret, the recording. Maret also enlisted Chris Potter on bass clarinet, guitarists Ricardo Vogt, Marvin Sewell and Kevin Breit, pianist Jon Cowherd, organist Shedrick Mitchell, keyboardist Bobby Sparks, arranger Gil Goldstein, percussionist Mino Cinelu and Kofo the Wonderman on talking drum. 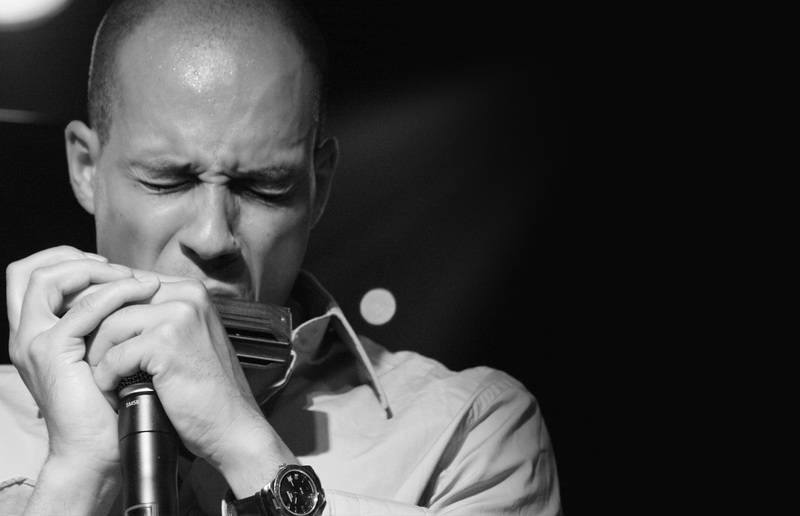 Maret has a deep connection to voice since the beginning of his musical life, as he began as a singer and later took up the chromatic harmonica, which he sees as an extension of, or the instrument closest, to the voice. So it should be no surprise that he brought in a number of fabulous vocalists to perform on Wanted, including Mark Kibble of Take 6, Frank McComb, Dianne Reeves, Luciana Souza, Ivan Lins and Maret’s early mentor, Jimmy Scott, who passed away shortly after the recording. Luciana Souza delivers a lovely wordless vocal to “Groove,” a great ensemble workout with some dazzling solos. Maret turns Wayne Shorter’s classic “Footprints” into a slinky, bobbing vehicle for improvisation. The wistful “Voo Do Pássaro” features a dramatic wordless vocal turn from Brazilian legend Ivan Lins. Arranged by the great Gil Goldstein, “Talking Drums” is an epic piece in three movements inspired by Lins which focuses on the essence of music: namely voice and drums, the latter provided by master percussionists Mino Cinelu and Kofo the Wonderman. 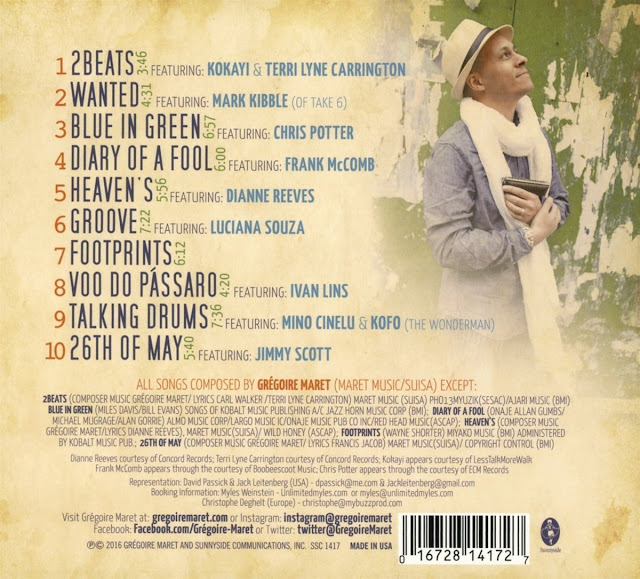 The recording concludes with “26th of May” which was written for and performed by the legendary vocalist Jimmy Scott, who hired Maret for his first gigs in New York, taught him to play a ballad and gave his last heartfelt performance to Maret. Grégoire Maret’s Wanted shows a complete artist coming full circle. Maret utilizes all that he has learned from his life as a sideman and leader in this entrancing and highly listenable recording. “Evansiana”, un’antologia di dieci brani del repertorio di Bill Evans, è il secondo progetto discografico del quartetto composto dal pianista britannico John Taylor, dal fiatista statunitense Paul McCandless, dal bassista pugliese Pierluigi Balducci e dal percussionista piemontese Michele Rabbia. Circa quattro anni dopo “Blue from Heaven”, martedì 28 febbraio il disco - prodotto, come il precedente, da Dodicilune Records con il coordinamento di Balducci e la produzione di Gabriele Rampino, direttore artistico dell’etichetta salentina - esce in Italia e all’estero distribuito da Ird e nei migliori store digitali. 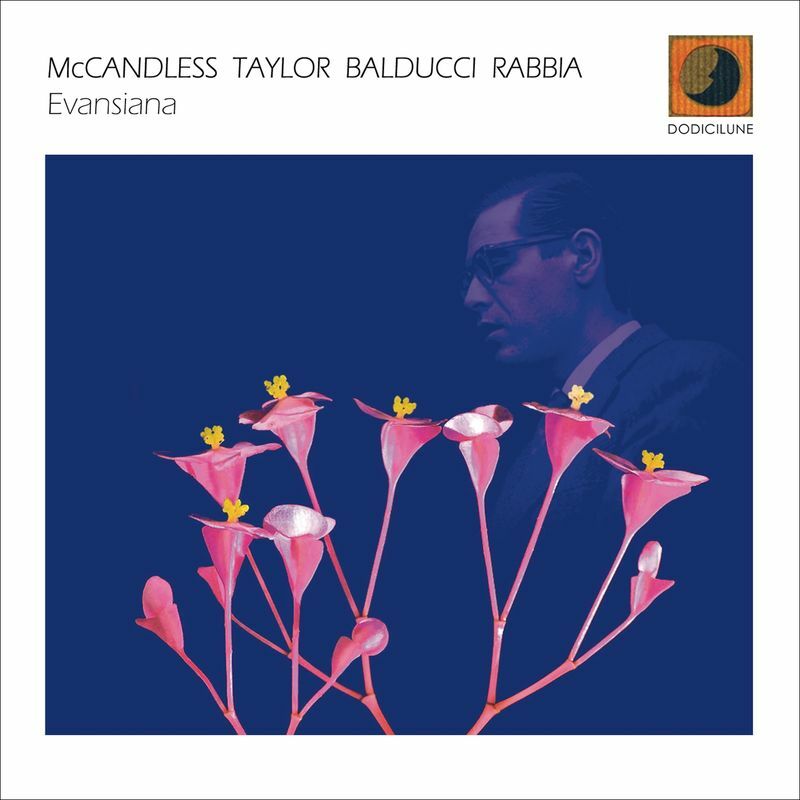 “Evansiana” è inevitabilmente legato al ricordo della grande figura artistica di John Taylor, scomparso nel luglio 2015 poco dopo la registrazione del cd, probabilmente il vero continuatore dell'estetica e del pianismo di Evans. In scaletta sette brani firmati dal musicista statunitense (Very early, Re: person I knew, Time remembered, Turn out the stars, B winor waltz - for Elaine, Children play song, Epilogue) e altri tre pezzi del suo repertorio, firmati da Bernstein/Comden/Green (Some other time), Kenny Wheeler (Sweet Dulcinea Blue) e Miles Davis (Blue in green). 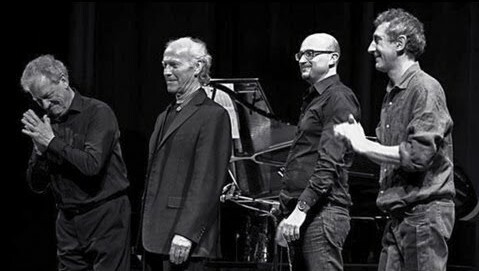 «Nel corso del 2014 Gabriele Rampino mi aveva ripetutamente invitato a realizzare una nuova incisione con lo stesso quartetto del mio precedente disco. E in estate ebbi l’idea di coinvolgere tutti in un'antologia di Bill Evans. Mi parve eccitante il pensiero che John si cimentasse con una rilettura del pianista americano che più ha distillato nel suo pianismo ingredienti di riconoscibile ascendenza europea», ricorda Balducci. «Mi entusiasmai anche all'idea che il lirismo di Paul, con il suo suono splendido, potesse rendere le composizioni di Evans ancora più scolpite e cesellate. E che la sensibilità e la poetica leggerezza di Michele potesse sostenerlo con il suo tipico approccio asservito all’armonia, alla melodia, al dialogo anche sussurrato. Io sarei riuscito così a dedicare un disco alle composizioni di Evans che avevano per me un profondo significato affettivo e nostalgico», prosegue. «Per me significava chiudere un cerchio, tornando su quel meraviglioso incontro, sempre rinnovato nel mondo del jazz, tra la componente africana e quella europea. Ma in fondo, ne sono convinto, lo era anche per i miei compagni di avventura. Così, chiesi ai miei compagni di viaggio di proporre due o tre brani ciascuno. Così è nato “Evansiana”. Racconta la storia di quattro musicisti che forse non vedevano l'ora di poter suonare Bill Evans. Due di loro, i più giovani, sono cresciuti anche ascoltando i dischi dei due più anziani, e tutti insieme hanno rimescolato le proprie storie e le proprie carte. Questo disco narra di un felice incontro durato pochi anni e dell'effimera bellezza della vita. Questo disco è un frammento di eternità. È consapevolezza che anche se tutto scompare e svanisce, l'arte, che è spiritualità immanente nelle cose, resta». 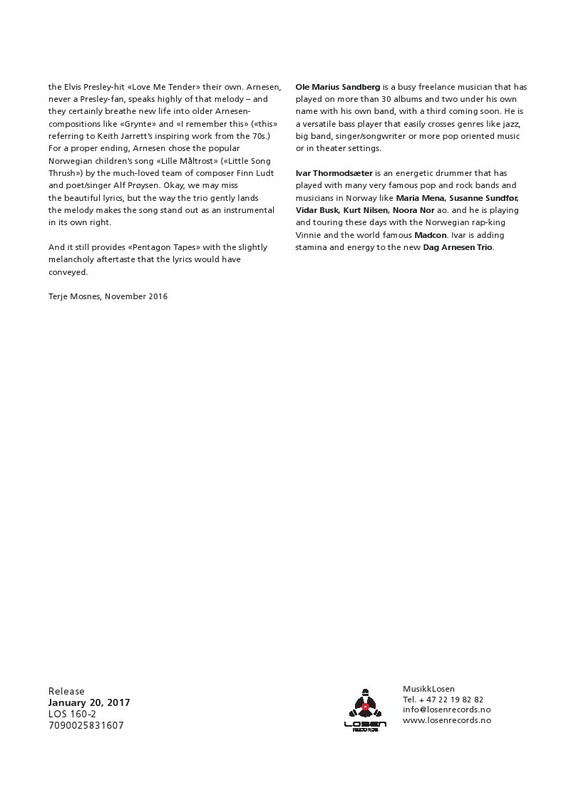 «Oltre che il suo pianismo, anche il repertorio compositivo di Evans ha ispirato, forse con qualche ritardo, musicisti di varia estrazione; ma, dopo il progetto di Paul Motian con Joe Lovano e Bill Frisell (Jmt, 1990), una formula di questa cifra artistica, con un suono di gruppo davvero unico e irripetibile, non si era mai ascoltata», precisa Gabriele Rampino. «Pur nel ruolo centrale assunto in modo del tutto naturale dal piano di Taylor, che armonicamente sviluppa ed estende significativamente il vocabolario di Evans, il quartetto è fortemente caratterizzato dal suono e dallo stile inconfondibile di Paul McCandless, che conferisce al songbook evansiano un mood a-la-Oregon. La ritmica sublime di Balducci e Rabbia dona anticonvenzionalità e freschezza all'ensemble, che esplora le ricche e spesso difficili armonie evansiane in una sfida vinta con naturalezza». Bassista tra i più interessanti della scena jazzistica italiana, Pierluigi Balducci si è esibito in Italia e all'estero collaborando con musicisti come Ernst Reijseger, Robert Bonisolo, Luciano Biondini, Gabriele Mirabassi, Javier Girotto, Michele Rabbia, Antonio Tosques, e molti altri. È attualmente co-leader della formazione Nuevo Tango Ensamble, tra le più significative formazioni europee nel suo genere. Recentemente, gli è stata dedicata una voce nel Dizionario del jazz italiano, edito nel 2014 dalla Feltrinelli. Con questo disco prosegue la sua collaborazione con la Dodicilune dopo “Small Ensemble: Leggero” (2006), “Stupor Mundi” (2009), “Blue from heaven” (2012), “Amori sospesi” (2015) con Gabriele Mirabassi e Nando Di Modugno, “Cinema - Volume 1” (2016) con Vincenzo 'Viz' Maurogiovanni e la partecipazione ai progetti Synopsis dell’Antonio Tosques Quartet (2007), “Galantuomini” di Gabriele Rampino (2009) e "My Waits. Tom Waits Songbook" della cantante Serena Spedicato (2012). Paul McCandless, fiatista e compositore statunitense, è uno dei fondatori del gruppo degli Oregon nel 1971 insieme a Ralph Towner, Glen Moore e Collin Walcott. Uno dei pochissimi oboisti di jazz al mondo, anche polistrumentista (sax soprano, corno inglese, sopranino, clarinetto e clarinetto basso). Innumerevoli le sue collaborazioni con tutti i grandi del jazz moderno come Jaco Pastorius, Carla Bley, Wynton Marsalis, Lyle Mays, Pat Metheny, Mark Isham, Steve Reich, Al Jarreau e molti altri. John Taylor, pianista britannico, fondatore nel 1977 dello storico gruppo degli Azimuth, con Norma Winstone e Kenny Wheeler. Considerato uno dei più creativi e poliedrici pianisti del jazz moderno, dotato di incredibile senso lirico e ritmico, caposcuola e riferimento delle nuove generazioni, ha collaborato con tutti i grandi del jazz quali Jan Garbarek, Enrico Rava, Gil Evans, Lee Konitz, Charlie Mariano, Maria Pia De Vito, Ralph Towner, Charlie Haden. Michele Rabbia, percussionista e batterista creativo e innovativo, famoso per l'uso di strumenti atipici nel suo percorso di esplorazione del mondo dei suoni. Ha collaborato con tutti i grandi del jazz mondiale come Antonello Salis, Charlie Mariano, Stefano Battaglia, Dominique Pifarely, Paul McCandless, Michel Portal, Enrico Pieranunzi, Michel Godard, Rita Marcotulli, Andy Sheppard, Eivin Aarset, Sainkho Namtchylak, John Tchicai, Bruno Chevillon e molti altri.